Trio SIM card (Standard, Nano, Micro) – will fit in any unlocked 3G or 4G phone. The pack contains a Trio SIM – it has all SIM types on one card. So whether you need a standard, micro or nano – SIM, you can just pop out the one you need. 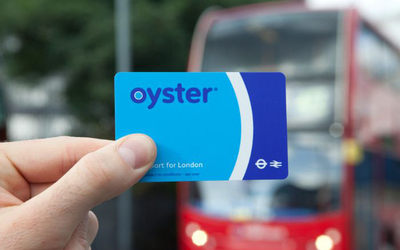 Oyster saves you money, as using an Oyster card is significantly cheaper than paying cash for tickets. When you depart London, return your Oyster at any tube station for a GBP5 refund. Travel within Zone 1-2 on the Tube costs between GBP2.40 – GBP2.90 for a single ride, with a cap of GBP6.60 per day. All Welcome Packs are shipped free direct to your door, or to your London hotel. The Essential Welcome Pack offers you everything you need to get started in London immediately once you arrive. Your SIM card and Oyster card will already be topped up when you receive them, so you can kick start your London trip.